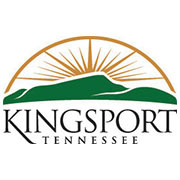 You are here: Home / Government / News / City News / Kids to Parks Day in Kingsport! Kids to Parks Day in Kingsport! Join Kingsport is celebrating the 8th Annual Kids to Parks Day! With activities happening at Bays Mountain Park and with Kingsport Parks and Recreation, your kids will want to spend all day in a park! On Saturday, May 19th, Bays Mountain Park will host a day of outdoor fun! Kids to Parks Day at Bays Mountain will take place from 11:00 a.m. – 5:00 p.m. The event highlights the nature programs offered at the Park, with extra programs including a touch table from 11:00 – 3:00 p.m. in front of the Nature Center and a scavenger hunt from 2:00 p.m. – 5:00 p.m. in front of the Farmstead Museum. Nature program fees apply, but the touch table and scavenger hunt are free. Kingsport Parks and Recreation is offering up a free rental at one of the Parks and Recreation centers to the winner of a Kids to Parks Day photo contest! All participants have to do is visit one of the four parks on May 19th, Borden Park, Kingsport Greenbelt, Centennial Park or Preston Forest Park, and snap a photo! Then post your photo on Facebook with the hashtag #KidsToParksDay and follow the Kingsport Parks and Recreation page. Kids to Parks Day is a nationwide celebration of the great outdoors and is designed to connect kids and families with their local, state, and national parks and public lands. By discovering and exploring our public lands, kids across the country can learn about park stewardship, outdoor recreation, STEM (science, technology, engineering and math), and the history of our country. By teaching our kids to appreciate and enjoy our public lands, we can foster future outdoor enthusiasts and create the next generation of park stewards and caretakers of these important places. For more information on Kingsport Parks & Recreation, please visit kingsportparksandrecreation.org or call 423-343-9723.
https://www.kingsporttn.gov/wp-content/uploads/K-180x180.jpg 180 180 adrienne https://www.kingsporttn.gov/wp-content/uploads/logo-1.png adrienne2018-05-14 08:55:552018-05-14 08:55:55Kids to Parks Day in Kingsport!